BRYAN EATON/Staff photo. Signs of the end of summer and early fall are gradual, but one that seems to signal that winter is not far is the removal of boat docks along the Merrimack River. 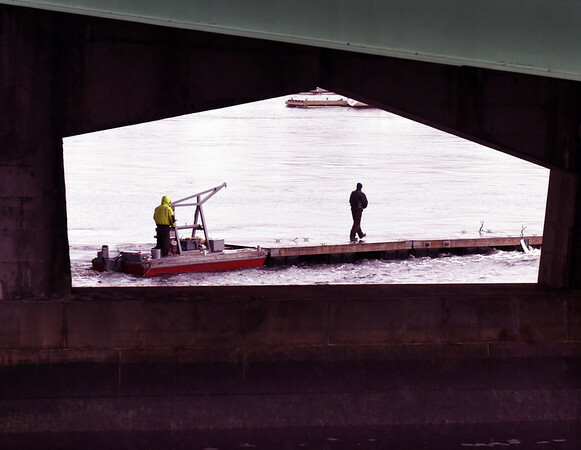 Here, one of several crews from Newburyport Marinas move one under the Gillis Bridge in Newburyport on Monday morning for storage at Newburyport Harbor Marina on Water Street.